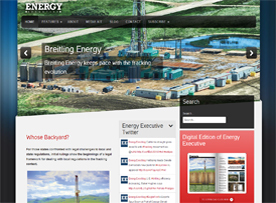 The Williston Basin is a structural-sedimentary intra-cratonic basin located on the western shelf of North America. The present-day basin occupies a large segment of the northern Great Plains and extends northward into Canada. The basin region is a generally flat lying, moderately dissected plain with minimum topographic relief. The Canadian Shield and the Sioux Uplift border the basin on the east and southeast. The Black Hills Uplift, Miles City Arch, Porcupine Dome, and Bowdoin Dome define the western and southwestern borders. The United States part of the basin covers approximately 143,000 square miles, with a total sedimentary rock volume of approximately 202,000 square miles. Shallow gas was discovered in the Upper Cretaceous Eagle Sandstone on the Cedar Creek Anticline in southeastern Montana in 1916. In 1951, discoveries of the Beaver Lodge field by the Amerada Oil Company on the Nesson Anticline in North Dakota and the Richey and Southwest Richey fields by Shell Oil Company in eastern Montana sparked further interest. The chalk lies at elevations ranging from about 1,500 feet above sea level on the Sioux Ridge to about 5,000 feet below sea level in the Williston Basin. The depth of burial is from several hundred feet in eastern South Dakota to about 3,000 feet in parts of western South Dakota. Estimating the technically recoverable oil and natural gas resource base in the United States is an evolving process. 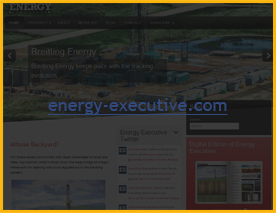 For shale gas and oil, the evolution of resource estimates is likely to continue for some time. The size of the technically recoverable oil and natural gas resource base in the United States becomes evident only as producers drill into geologic deposits with oil and gas potential and attempt to produce from them on a commercial basis. A full report on potential resources has not been assessed and no commercial production has yet been obtained from the Niobrara in South Dakota. However, numerous gas shows have been encountered in the Niobrara throughout the state over the years, indicating the possibility of widespread Niobrara gas accumulations. In 2008, Deutsche Bank reported the average well cost as between $3 and $4 million dollars.